After citing this extract, the opponents of the Jamaat deduce of their own accord that even if a person were to strive their entire life in the hope of finding a single true prophecy of the Promised Messiahas, they would not be able to find a single one that they could concretely prove. In addressing this challenge of opponents, a few classic examples of prophecies and their fulfilment shall be mentioned. In accordance with this verse, every single individual after Abrahamas who travelled to perform Umrah and Hajj till this day and who will do as such till the Day of Judgement bear witness to the fact that the tidings which God had informed Abrahamas of came to pass and the Holy Quran, which had foretold this tiding, proved true. This was divinely revealed to him in 1882 in which it was foretold that inanimate objects, for instance gifts, money, clothes etc. would come to him and intellectual people would also flock to him. 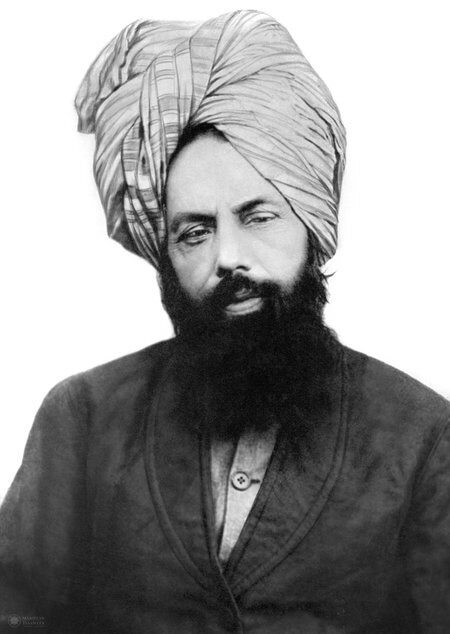 Hazrat Mirza Ghulam Ahmadas used to reside in a village to which proper roads would not even lead. In that age, no buses or trains used to head in that direction. The closest railway station was at a distance of 12 miles. In that village, there was no trade and industry. There were no markets. Yet, in such a scenario, God Almighty informed him that people and financial gifts would come to him. After these tidings, each individual who visited Qadian and all varieties of gifts sent to him are testament to the truthfulness of this divine revelation. If God Almighty had not informed him of these tidings through His revelation, mentioning these tidings and attributing them to God would have been an affront to the self-honour of God. It would have resulted in no person ever coming to him, nor any gift. That is, he would be made renowned in the world. We ask our readers to reflect, with hand on heart, whether the promise which God had made to him has been fulfilled or not? Has God not made him renowned? Or is it the contrary? Has this prophecy proven true or not? When God had disclosed this future occurrence, the total number of men in his family were around 70. In such a backdrop, Allah informed him that the progeny of his forefathers would thereon be brought to an end and the inception of his family would occur through his person. What an immense claim made in this divine revelation! The progeny of all people alive in his family at the time was declared to come to an end and it was promised that the progeny of his family only would spread through his person. It may be the case that a few people are coincidentally omitted from families, who are incapable of producing children, but in this instance, it was foretold that all the progenies of all people alive in the family would cease. How magnificent is the promise of continuing the family lineage through him! No human can even foretell whether they will remain alive or whether their progeny will endure or otherwise. Thus, the progenies of all people in his family came to an end and only the progeny of those endured who, taking the oath of initiation, became Ahmadi. Today, on this earth, there is not a single human who can refute the truthfulness of this divine revelation. No one can say that they are not of the progeny of Hazrat Mirza Ghulam Ahmadas but are contrarily of the progeny of the disbelieving faction of his family. If God Almighty had not vouchsafed this tiding to him, he would have otherwise been challenging the self-honour of God by making such an extraordinary claim. Nobody was able to kill him. Allah safeguarded him and he passed away naturally. After the descent of this divine revelation, Hazrat Ahmad’sas family became his antagonists. Inhabitants of Qadian, Hindus, Sikhs, Christians and all Muslim sects bore enmity to him. Edicts calling of his disbelief were pronounced. Fatwas for his death were proclaimed. He was legally tried for murder, but as of the case of the Holy Prophetsa, Allah frustrated the murder schemes of all his opponents, safeguarded him throughout his entire life and he passed away by natural means. At the time of this revelation, a son of Maulvi Sa‘dullah Ludhianvi was alive while he himself [Maulvi Sa‘dullah] was still in his youth. However, after this revelation, neither of them had offspring. There is not a single person today who can claim that this prophecy was not fulfilled on account of belonging to the lineage of Maulvi Sa‘dullah Ludhianvi. Exactly two and a half years after this prophecy, Allah granted him a son on 14 June 1899, who was named Mubarak Ahmad. It is worth considering whether God’s revelation was fulfilled or otherwise. Who can claim that a son would be born in his home; that he would be born in the life of a certain person and that the opponent would remain alive till his birth? On the contrary, nobody can even claim themselves that they will stay alive! Nobody can claim that children will be born in their home and remain alive; that their progeny will be unending and that their message will reach the corners of the earth. Bearing God as our Witness, we should ask ourselves, has God not conveyed Hazrat Ahmad’sas message to the corners of the earth through newspapers, magazines, radio stations, television channels, MTA, social media and the internet? Major sects of major religions, prominent scholars, religious leaders and governments have attempted to halt and supress the propagation of his message, but has God endowed them success or frustrated them? Have they succeeded in preventing his message from reaching the corners of the Earth? We leave this for you to answer.